Yesterday (03/06/18) i bought my first Mercedes Benz. I have to say i absolutely love my new CLC180 Kompressor in black !!! Natasha and Lee were both brilliant !!! 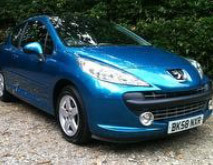 Lee secured the deal for me and reserved my new car the day prior to my viewing (Going above and beyond !!!). Natasha was the quintessential professional and put absolutely no pressure on me to close the deal and made the whole process of viewing and buying the car so easy. 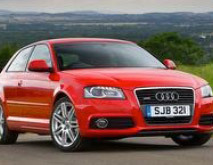 I would highly recommend \"We Sell Small Cars\" to anyone that is in the market for a high class luxury car. BTW you both have a lovely house !!! 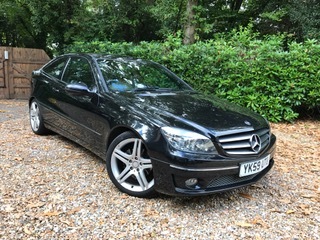 Thank you so much from one very happy new Merc owner. Excellent service from start to finish. 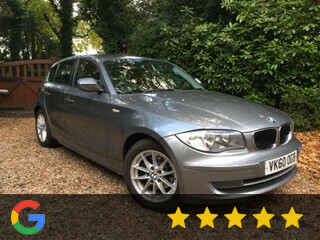 Bought the car without seeing it first and was therefore a little anxious, however Natasha reassured me throughout. 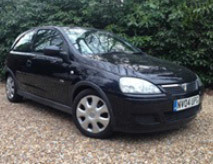 Car was ready at the time agreed for collection and was immaculate. Dealing with paperwork was no effort at all. Overall one of the best (if not the best) experience I've had when buying a car. A no pressure, honest and reliable highly recommended! Cannot rate highly enough. Amazing and friendly service from the beginning with a fantastic level of honesty and professionalism. 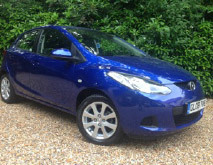 Brilliant to deal with Natasha and now am the proud owner of a lovely car in less than 24 hours. Could not do enough to accommodate us even on a bank holiday Monday. Would highly recommend to anyone looking for a good price with outstanding quality. Thanks also to Lee for rescuing me at the petrol station when I needed to refuel and had forgotten to ask how to open the cap! Fantastic small business ran smoothly by Lee and Natasha. 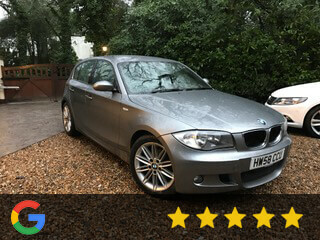 I recently part-exchanged my car with no hassle whatsoever and Lee made sure I was 100% happy before I walked away with my new car. Great service, highly recommend. 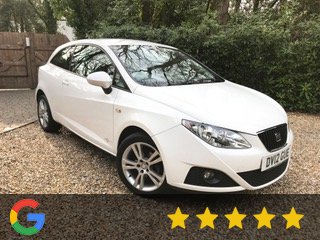 It was an absolute pleasure to be able to do business with them ,I got an amazing value for my part exchange and got a brilliant deal for my new car ! 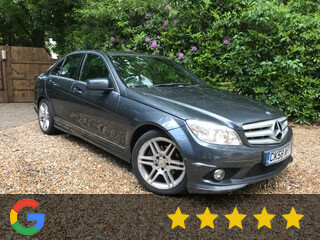 From test drive to day of collection I felt I was in good hands, communication was superb knowledge and honesty a priority. 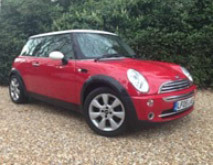 I would highly recommend we sell small cars and wouldn’t hesitate to return to Lee for any future vehicle purchase. 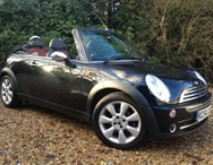 The whole process was stress free and extremely happy with the vehicle and the overall service, A pleasure to deal with Natasha and felt very looked after, would recommend to anyone. Thankyou again!! The whole experience of dealing with Natasha and Lee was first class. Natasha in particular made the whole buying experience very easy and also took care of all the tax and vehicle registration paperwork following purchase. A very professional business and I am very pleased with the vehicle I purchased from them. Absolutely wonderful and professional business. Natasha is a very helpful and determined lady. She will not be beaten if 1 finance company declines you! Sadly I had to leave before she got a decision a back, Natasha later contacted me to say I’d been approved. 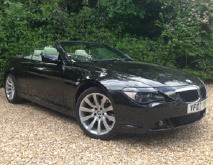 Sadly I couldn’t purchase the car I wanted as my damn insurance doesn’t cover a group 25 (BMW cabriolet) it was a lovely car, clean inside and out. I did however put a deposit down, I expected to lose it, as it was a failure my end. But, Natasha has agreed that she will process this back to me. That is very thoughtful of her. It was a pleasure meeting Natasha and her husband. Picked our car up yesterday. Natasha is a very professional woman, knows what she's doing and doesn't pressure you at all. Very kindly kept my car in the garage over night so my dad (a mechanic) could see the body work properly. Lovely car, only issue with it was that the clutch is going which dad identified. In Natashas defence, she had no idea and the car has a week old mot. We found out how much it would cost to fix and Natasha was more than willing to negotiate a price considering it was a 200 mile round trip for us. Place was very easy to find. 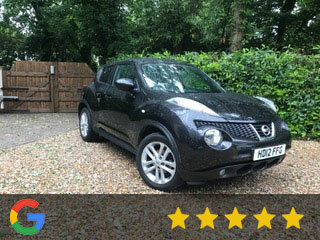 Very happy, would definitely recommend and come back to buy another car in the future. 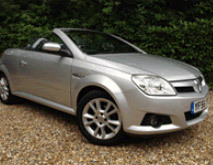 Recently bought a Vauxhall GTC, brilliant car in great condition. Service was excellent, really professional and helpful. Can't recommend enough! I can absolutely recommende this company ran by Natasha and Lee. Very helpful, profesional and friendly approaching. 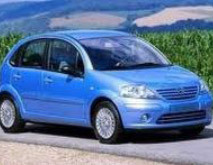 Car we chose is amazing and reasonable price. Finance and tax sorted in minutes, by the way finance came with very good interest rate. 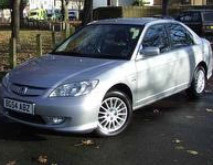 Our old car has been part exchanged without any problem. Thank you very much. 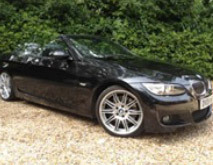 From the first call arranging a short notice viewing to completing the purchase was an extremely pleasurable experience. 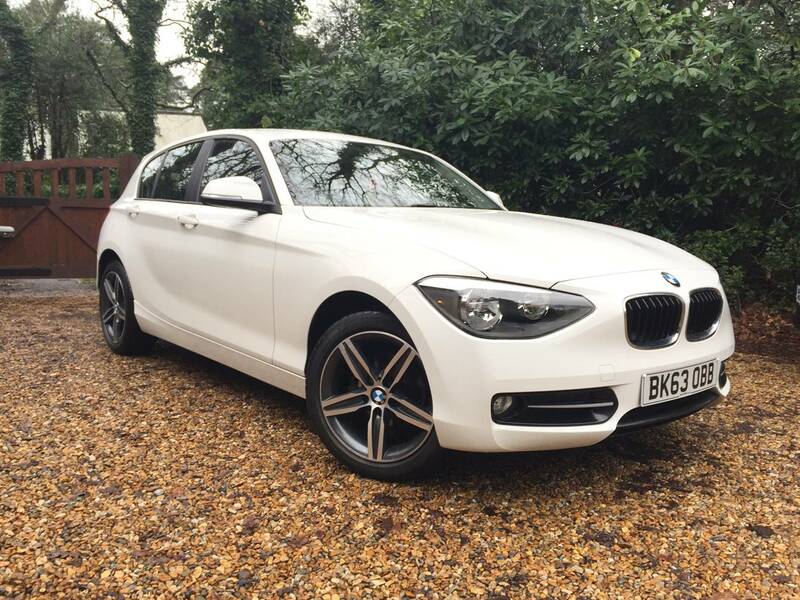 First impressions mean and tell a lot, immaculate is how Natasha, the car and the business premises were presented to us.We were instantly reassured and made to feel very welcome. Beneath that girly girl exterior lies a very genuine hard working woman who is extremely knowledgeable and totally professional. The appointment process works great and we were given her full and undivided attention. All options such as finance and warranties were explained clearly. All paperwork, DVLA, tax,AA and purchase receipt were handled super quick by the multi tasking Natasha. 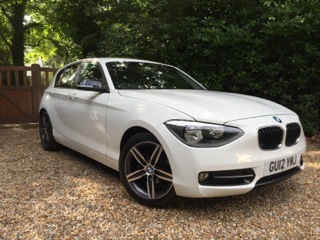 My son is delighted with his BMW, we both can not recommend WSSC highly enough..Absolutely Brilliant. Superb customer service with the added personal touch. A friendly approach and every angle covered. From finding my car to putting it in my name and sorting out car tax nothing was too much trouble . I would highly recommend this lovely company where you will experience no pressure, just a friendly welcome and helpful guidance throughout the process. Exceptional service from this company, a family run concern of owners Lee and Natasha. 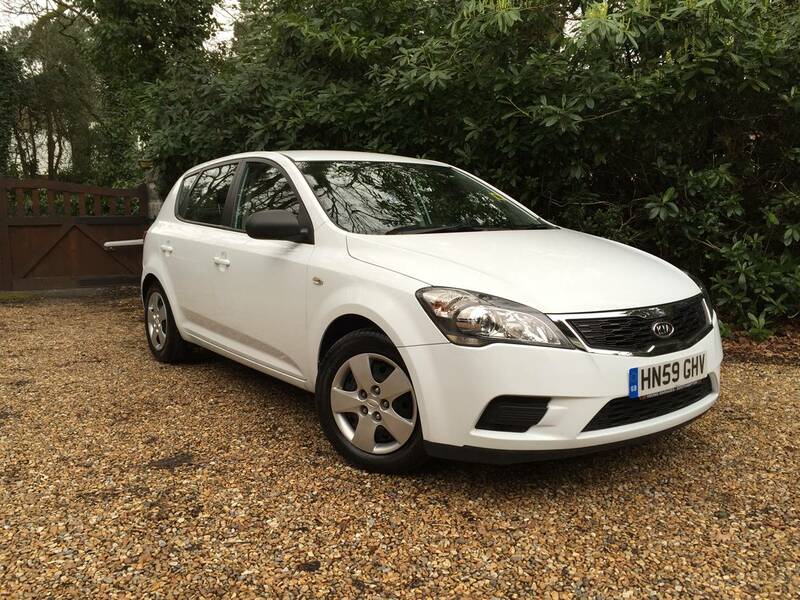 The car was described accurately and was very reasonable priced. I can not recommend them highly enough. 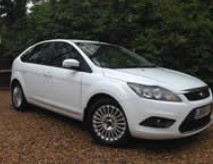 From the start of my enquiry were extremely helpful and accommodating, (especially considering I interrupted their well earned holiday), through to purchase, organising Road tax, reregistering the car with the DVLA for a change of the number to personal plate, right through to the after sales service, their professionalism has been of the highest caliber. Knowledgable, polite, friendly and most importantly I felt they were honest and trustworthy in every way. Their Customer care is second to none. 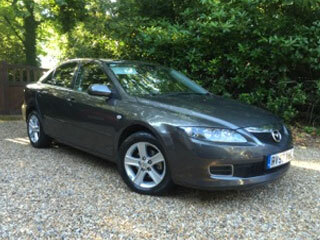 We have had the car for 1 week and we are delighted with it. A 5 star GOLD service. 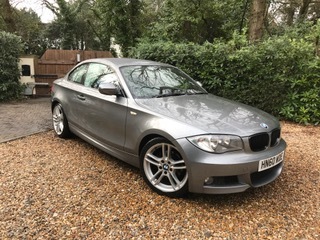 BMW 2011 68000 miles great little car in great condition, everything I was hoping for and more, great price, would recommend and buy from again. What a lovely lady and family business. 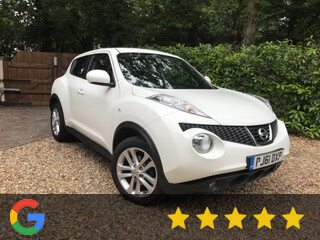 The whole experience of buying a car was made so much better because of how we were treated and there was no pushy salesman etc! Totally trustworthy and fair. The car is great I'm very happy and I even got some amazing tips for my Marbella holiday!! Thanks again! 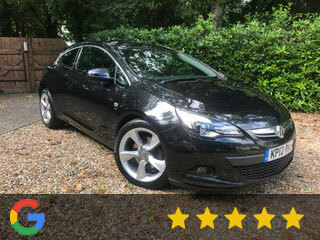 Car was a good price and exactly as described. Very happy with it. Natasha dealt with me and was professional and efficient. She completed the sale quickly and I was able to drive the car away within an hour. Natasha is also a rather lovely person with a winning smile and is a pleasure to deal with. You feel you can trust these people because they're authentic ...... and that's important! Natasha and Lee went above and beyond to find me the perfect car. I couldn\'t be happier and would recommend them to anyone. Customer service is excellent with a personal service you can rely upon with confidence. I would buy another car from Natasha without any hesitation.Thanks so much for all your help. Today went and had a look at a car I've wanted since I was about 6!! Loved the car immediately, perfect condition!! Natasha was lovely and incredibly welcoming as soon as we got there! 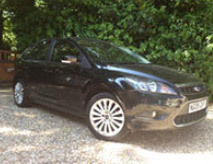 Managed to sort out a finance deal and drive the car away within half an hour!! Brilliant customer service and I can already say this'll be where I'll go to get my next car! We bought a car from here today, my husband and I are very pleased with it. We traded in our old car, which was very easy. It's in perfect condition and we enjoyed driving home in it. Natasha was extremely friendly and very welcoming, from the moment we got there. 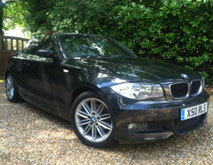 Natasha even sorted out the tax and number plate change, with no hassle and very quickly. It was a pleasureable experience buying a car from here, and we would highly recommend them. Very professional, extremely helpful and a pleasure to do buisness with! Great cars and a fantastic service. Natasha - thank you for all your help, you're a star! Great company! 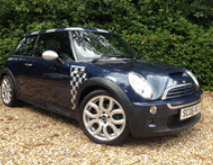 I am usually wary of buying from dealers as they can have a bad reputation but We Sell Small Cars were different, Natasha made me feel right at home and confident that I was going to be looked after. I didn't feel pressured at all to buy the car and she answered all all of my many questions! I am not driving my dream car! 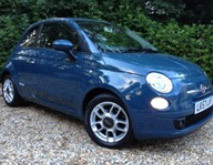 I would definitely buy again from We Sell Small Cars! 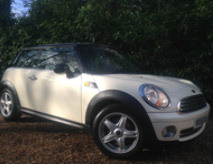 If you are looking to purchase a car and you don't want the standard sales patter then buy with We Sell Small Cars. The service we received from Natasha was first class. Thank you very much. Jodie and Martyn Rafferty. 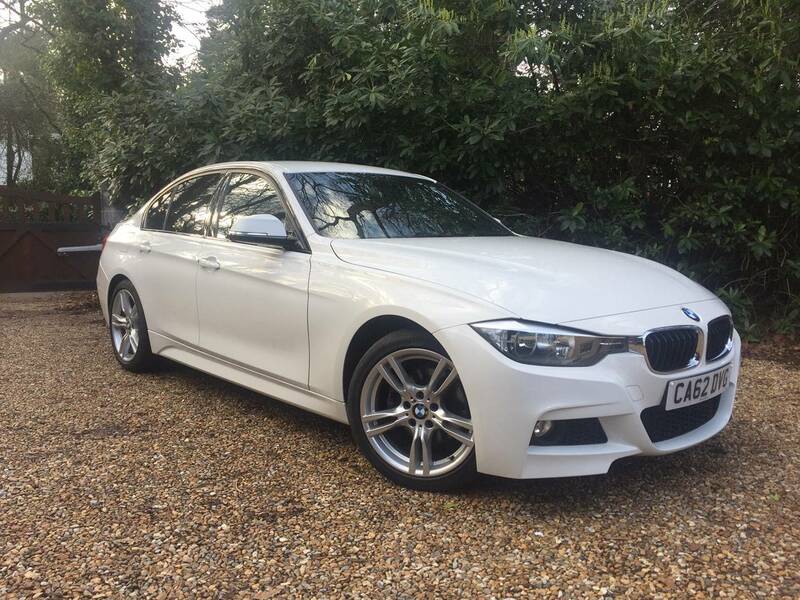 All I can say is that the experience I had with you and your company was such a positive one, you were patient and understanding and even you knowing how much my son wanted the BMW you were not pushy in any way, my son is so happy with the car and is still out in it all the time, would 100% come back to you when myself or my daughter is up for a change of car, or my son for that matter. So many thanks for that. 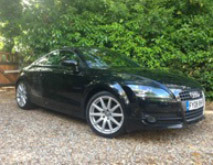 Hi Natasha, The service I received from you and your husband was fab, quick response and very helpful, will keep you in mind whenever I am looking for new car. This is now the 3rd car I have bought from we sell small cars and I couldn't be happier. Excellent customer service and Natasha was very helpful in finding me the right car! Perfect! I can highly recommend the outstanding service I received from Natasha. Fantastic .... Brilliant .... Unbelievable .... Omg how easy was that?!! 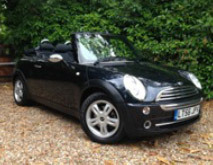 Informed Natasha from the aptly named wesellsmallcars.co.uk about a specific car (which is not small) that I wished to purchase and a week later I had my dream car ... wot a beauty!! No hassle or unrest during the purchase so it was stress free. 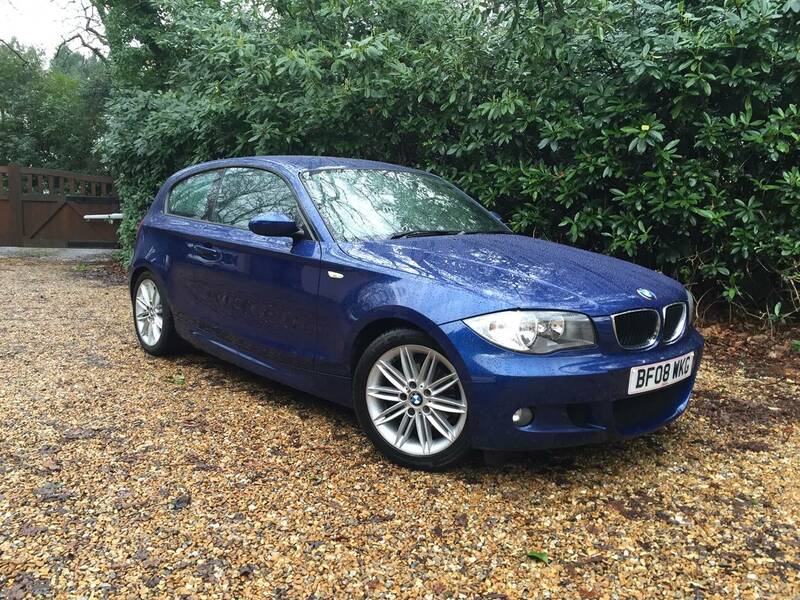 Natasha assisted with the financial side of this amazing deal too - how greats that?! 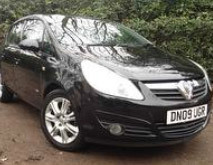 Truly is a One Stop Shop and my used car looked brand new (thanks Lee) when I went to collect it. 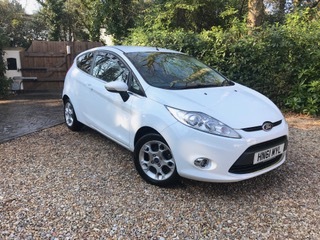 Service during a purchase like this is really really important and I must say I was blown away and will be and would be recommending wesellsmallcars.co.uk to my family and friends. 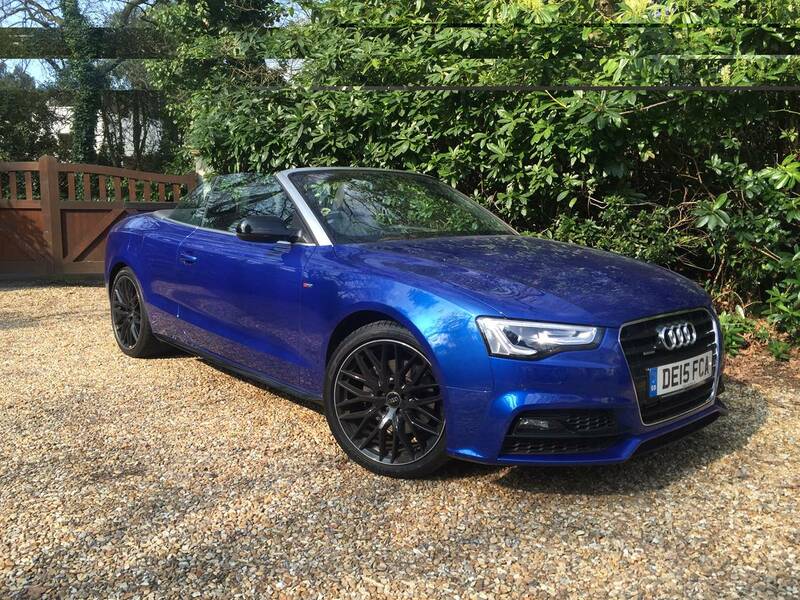 Thanks once again to Natasha and Lee for my 'wow' new car and a great experience. Even though I arrived earlier than arranged you were very welcoming, showed a real personal touch with no pressure sales pitch. Great person to do business with and I shall be recommending you to my colleagues. Shirin From Southampton didn't even buy a car from us!!!!! Natasha was accommodating, welcoming and professional. 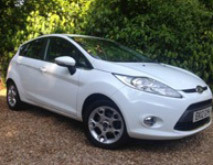 The service we received was top quality and would recommend We Sell Small Cars to anyone looking for their next car. Having spoken to Lee on the telephone I was instantly impressed with how genuine and professional he was. I was not disappointed with the vehicle I intended to purchase and the quality of service was impeccable. 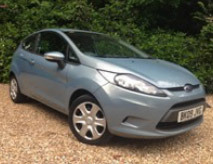 We sell small cars is a very reliable and professional dealer, I bought my car and it was exactly as it had been detailed on the website. 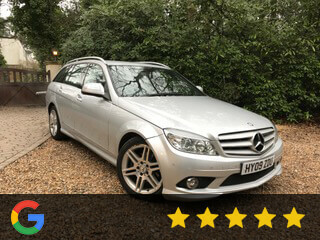 I was thrilled to have such a high spec car and Natasha was very professional and friendly which really was the icing on the cake. 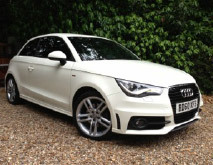 I can't fault anything if you want to feel safe straight after you leave a dealer and also knowing you have bought it from a reliable source then you will be in safe hands here , again many thanks. Massive thank you to Natasha (and Lee of course!) 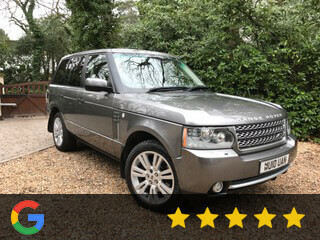 for the excellent level of service when buying my car (which I love!). These are the quality standards that everyone in the used car industry should be trying to achieve - personal yet very professional! I will definitely be recommending your company wherever possible. It was great to buy from Natasha & Lee. You were more like friends I had yet to meet what a lovely couple and a fantastic car even the tea was great. You were so helpful even going to tax the car for me, got a great deal. Will recommend your service and would buy again. You don't often find nice dealers like you, very happy. Geoff. 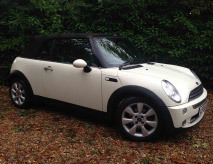 Thanks so much to Natasha for the wonderful experience of buying my beautiful mini!! So helpful and no pressure at all! Have already recommended you to some friends and family! Just thought I would send you a quick email to say thank you! 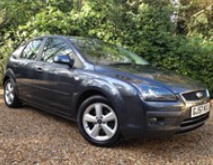 You provide an excellent service and you have a great business, I felt completely comfortable and very welcome in your home with a no pressure attitude you apply to selling cars makes it even more of a joyful experience. 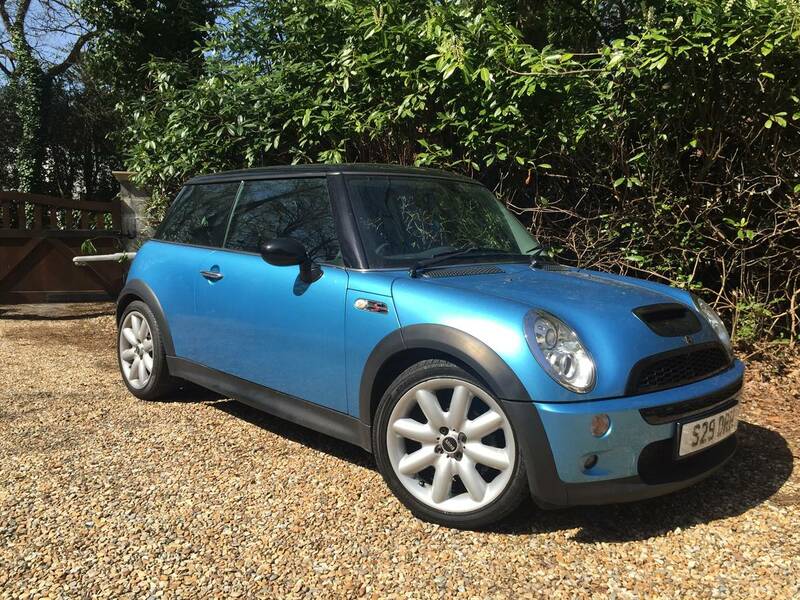 I can't wait to enjoy my mini in the sunshine, If only there were more business women like you! 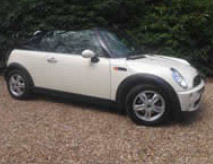 I had been looking for a mini convertible for months, so called Natasha & told her exactly what I wanted & she got it for me! I felt so safe & comfortable buying from Nastasha as she was so friendly, honest & trustworthy! I will be recommending her to everyone I know! 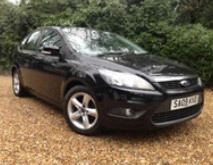 I recently brought 29/4/14 a ford focus from We Sale Small Cars and I most say I have never felt so a ease on a part ex service before. 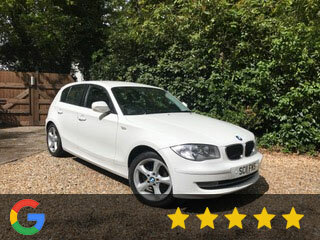 The Quality of the cars are fantastic as your with nothing hidden, A small catch was gone on a glove box lid and Natasha was Completely honest and showed me a new one from the manufacture was order and on it was(minor details which any car dealer would of ignored) and would be replaced once arrived. Fantastic service with a real personal touch and NO PRESSURE SALES at all. I told her my budget and she came in under of what I said I was able to pay. A real honest person, with real honestly family touch to her business. I highly recommended you use Natasha if your do not want to was your money as she also give you tips to also avoid hidden HP service charges. I spotted the car online on Sunday 10pm and got a response back at 22:15 from herself, I saw the car Monday and drive it away Tuesday. Within 24 hour I was so impressed I was already recommending her to my family and Friday. I you cant not find the car you want in stock, she will also source it for you, so to sum it up... A MUST GO TO IN YOUR LOOKING TO CHANGE YOUR CAR. The service we received was beyond reproach. We were made to feel very welcome and did not feel we were under any pressure to buy at all. Natasha treated us as if we were friends and went out of her way to make sure we could view the car when it was convenient for us. 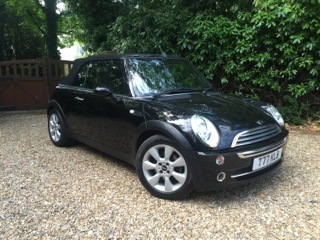 Very personal service and I would recommend we buy small cars. Definitely be back when the time comes to change ours. 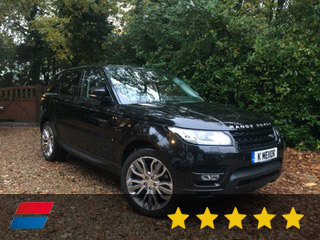 Excellent level of service from Natasha and Lee - couldn't have been more welcoming or helpful. They don't go in for the hard sell and are very honest. Would most definitely recommend them! 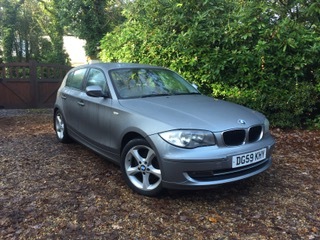 I bought my BMW from We Sell Small Cars and it's the perfect car, exactly what I wanted and more! 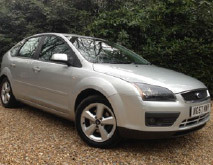 Natasha was very helpful, everything was sorted out for me so quickly. Natasha made me feel very relaxed and comfortable on the test drive. A great price and an amazing service. I would highly recommend. Will definitely be going there again when I renew my car. Thanks again! 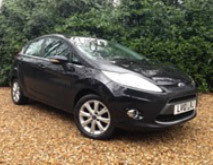 Recently brought a 08 Fiesta from We sell small cars, which is a lovely family run business, we felt at ease the moment we stepped foot on the driveway of this company, The sales lady Natasha was extremely helpful and not at all pushy. She was more than happy for us to test drive as many cars as we wanted to before finally settling on the Fiesta. She showed us all the little gadgets the car had as well as the usual standard things such as where the spare tyre was to reminding us it was a diesel not petrol run car!! Having read the reviews for this company I have to totally agree with the majority of comments!!!! We will and have recommended them to our friends and look forward to doing future business with WE SELL SMALL CARS Thank you again !!! 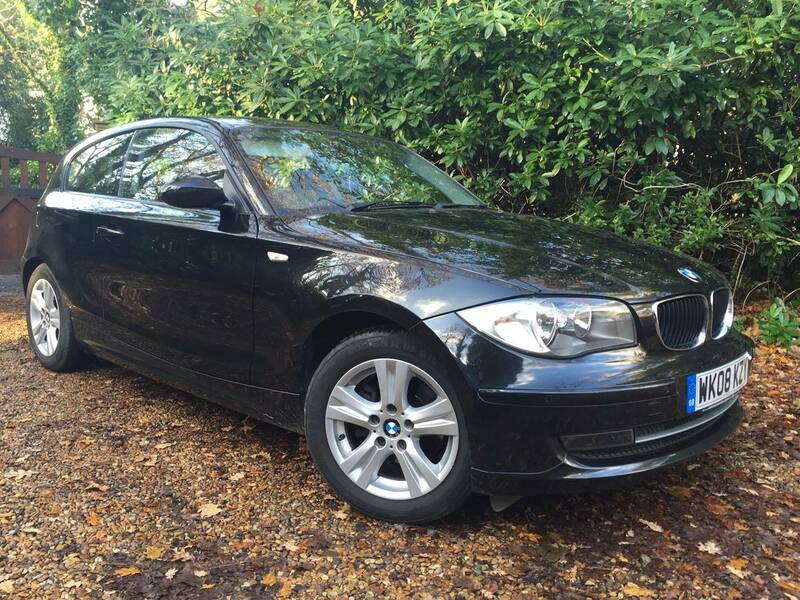 From start to finish, dealing with Natasha at We Sell Small Cars was an absolute pleasure. She treats you as a friend rather than a customer so you feel as though you are getting personal service, whilst maintaining a professional manner throughout. I would definitely buy through this Company again. 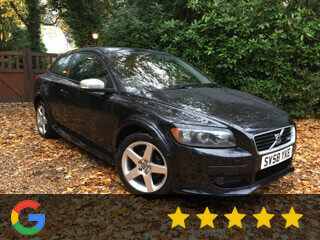 Having read the reviews on the website before going to see the car I was buying, I felt at ease. Natasha lived up to expectations. I was made to feel more than welcome and bought my car is an unpressurised environment. Natasha and her Fiance own the company and it shows. They work well together and nothing seemed to be too much bother. I had time to think things over and have a great look over the car. Test drive was informative and I didn't feel at all uncomfortable driving with a stranger next to me. reason being, Natasha did not make me feel like a stranger. I was left entirely to make my own mind up and she was there offering advice when I asked. I had seen a few other cars, all with cocky salesmen so it was completely refreshing to buy from a lady - one who knows what shes doing. I could see that Natasha loves her job as it shows with the effort and attention to detail. I would not hesitate in buying from here in the future. I have recommended Natasha to friends already. 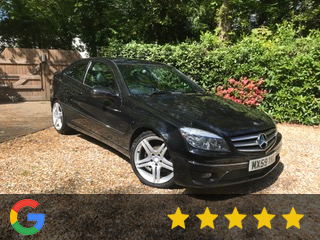 I can see this business going from strength to strength based upon the quality of cars and the outstanding customer service offered. Cannot recommend enough!!! Absolutely amazing service! 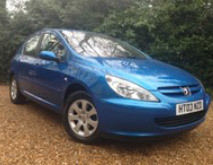 Had a great car, good price in a great condition. Nothing was too much trouble! Already recommended to friends as they are willing to find the perfect car if they don't have it in stock. 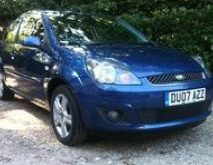 If you want a immaculate car, good price and great service then We Sell Small Cars are for you! 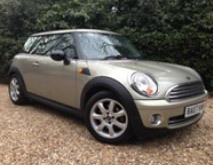 Natasha, Thank you so much for your friendly advice you gave Mark and I. I love my new Mini, Park Lane! If I ever need a new car, I won't hesitate to call you & I will be passing on to family & friends about the no pressure sales service you give. Once again, thank you and all the best for your wedding!! Caryl. Natasha is brilliant. 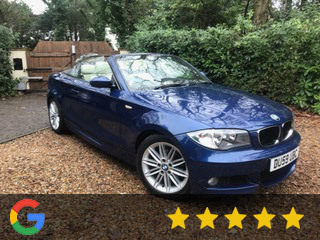 I went to look at the car on my own, so was slightly nervous about what to expect, she put me at ease straight away and there is NO pressure selling. 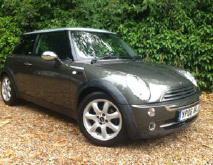 I arranged to take my husband back the next night who is also a bit of a worrier when it comes to buying cars. Natasha did all she could to put us both at ease, let us take all the time we needed and ask any stupid questions! The purchase was simple and straight forward and I was able to drive away the same night. Natasha even let me use her laptop to arrange my insurance whilst making us feel like we were her only customers. Would highly recommend to everyone, and if you are a lady who is put off by pushy sales then don't be afraid Natasha is there to help. Good morning, I just wanted to take a moment to say a huge thank you for all the assistance you gave me in purchasing my new car. 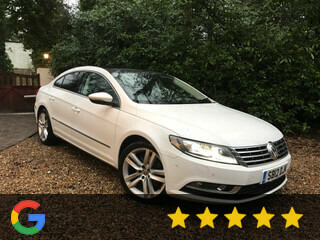 I couldn't believe within 24 hours you found the exact car with an even better spec than I was looking for and within 4 days had it delivered. 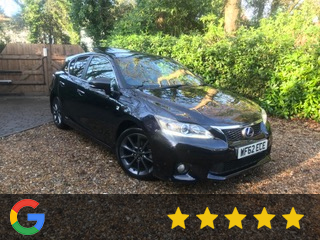 The service you've offered throughout the purchase and after care has been exceptional and I will certainly be recommending you to friends, family and colleagues. Massive thanks to Natasha for a amazingly easy sale! After owning my current car for 6 years I was very nervous to say good bye but I know it is in good hands! 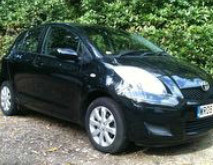 And my new car is wonderful! Thanks again for your hospitality and help Natasha! Hello Natasha. 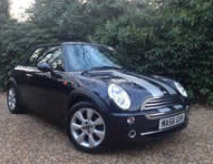 I have to say that I'm over the moon with my new dream car 'MY MINI'! 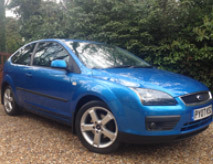 Natasha was first class with all her help in helping me get the finance sorted out for the car, she could not have been more helpful. Whenever I need a new car, I won't hesitate to see her again & I will tell family & friends about the service I got here. Once again, thank you Natasha. 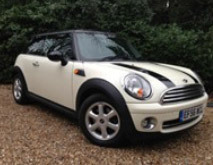 Gemma who did not actually buy the Mini Cooper from us! Natasha was very helpful when we went to view a car to buy. For our own personal reasons we did not purchase the car, but can say that Natasha was very approachable and not pushy at all! If circumstances were different for me then we would definitely have bought a car from her! I would definitely return if I wanted to buy another car and have recommended this company to my friends and family. 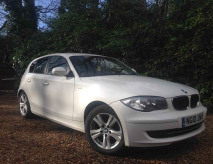 I recently bought my BMW from we sell small cars and I was very impressed with the service received. I came and viewed the car on a Thursday morning and cheekily asked if it could be ready for the next day as I wanted it for the weekend. Natasha pulled out all the stops and I was able prepare the car to a very high standard and I drove it away Friday lunchtime. 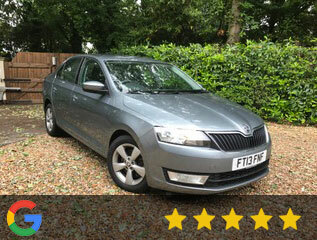 I had a couple of bits I needed looking at since I picked ip the car and again their excellent customer service meant I was provided with a courtesy car for the day whilst the work was carried out with little inconvenience and no cost. 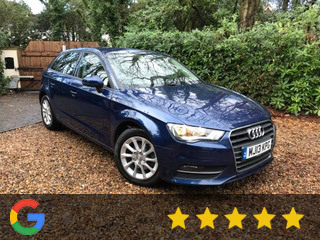 I can't fault the pre or post sales service and love the car - I have had much worse service and cars from main dealers - thank you so much for making it a pleasant painless experience. 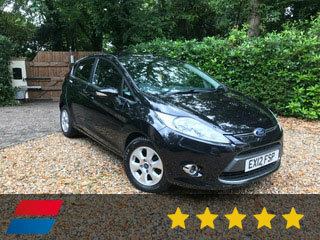 Firstly, I love my fiesta, it's great to drive and just what I was looking for. I've just been reading some of the other testimonials on your website, but I really don't know where to start. You really are one in a million! It's very rare to find a company, or person, that is a true professional but also a caring person. 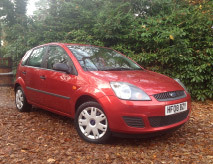 When my car broke down on your driveway, just as I was about to swap it for my new one, you could have called the deal off and resold my fiesta to the other lady that was interested. 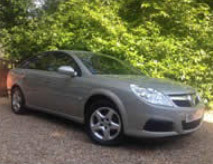 But not only did you give me a lift home, you sorted out my car and loaned me one of yours at no extra cost! This was way beyond any service that I would have expected from a car dealer but shows what a lovely, caring person you are and what a professional company you run. I have told all of my friends about you and they were amazed at your customer service and will definitely be coming to see you when they next change their cars. Thank you once again for everything, for my perfect fiesta and the best customer service EVER! I'll definitely be back again in the future. Hi natasha. Thank you very much for sending those bits through in the post. I completely forgot about asking you for them! Just to let you know, the car is perfect! Drives like a dream. I love everything about it. Also i would like to thank you for the service you provided. 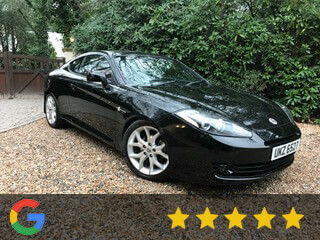 I felt very comfortable buying the car from you as there was no pressure at all! I hope all is ok and look forward to seeing Kai in a saints shirt in the future!! Take care, Toby. Would completely recommend this company. Saw the car I liked, sorted finance and drove the car away all in a matter of hours. 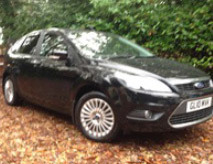 Very professional and I am so pleased with the quality of the car I purchased. 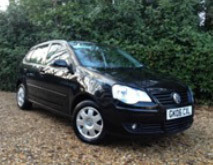 We are very happy with the Polo, it was as described and Natasha was Helpful and friendly. 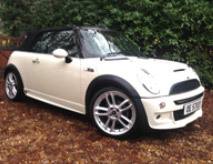 Thank you so much for making the purchase of my Mini Cooper convertible such a painless experience. I would definitely recommend you. Relaxed, unpressured environment with Natasha providing friendly, informed advice. A rare thing in the world of car sales. I'm happy to recommend. 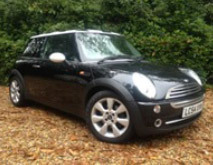 Just want to say a big thanks to Natasha for organising and sorting out our new Mini Cooper S. We are so pleased with our car. 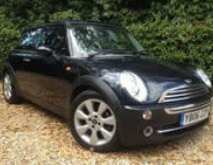 We would recommend anyone to We Sell Small Cars as Natasha is amazing, making us feel like friends rather than customers. We didn't have to worry about anything and within four days we have our dream car. Definitely 5* service. 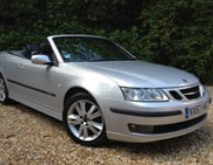 I bought my first convertable from Natasha in July 2012 and could not have wished for a better service. She was friendly and professional throughout. 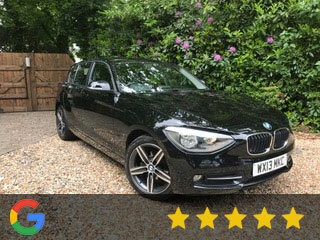 With great knowledge and outstanding customer service I would recommend Natasha to anyone and will certainly be returning when I need my next car. 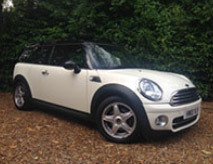 Thank you for making the purchase of my new Mini Cooper such a straight forward, stress free experience. 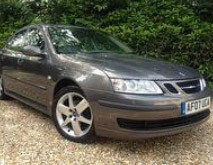 The car was exactly as described in the advert on your web page, it was a real pleasure dealing with you as you are not like some others in the car selling trade. You gave friendly professional advice without being pushy, and made the whole process very easy. 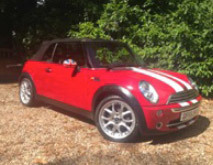 I am so happy to have my Mini I love it!! I will definitely recommend you to my friends and would use your company again. 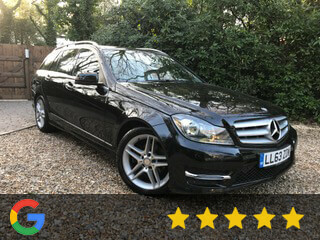 Thank you for you first class service, you couldn't of been more helpful and nice, the car is in absolute Beauty and drives perfectly, everything you said about the car is true, definitely recommendable. 10 out of 10 Again Thank you Natasha So Much I Love The Car It's Great. Just texting to say thank you for the excellent service you provided us today. We all got home safely. 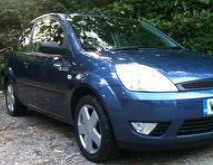 The cars lovely and Amy's over the moon with it, I've actually let her drive it round a car park with me as a passenger! Thanks again. Hope you and your family are well and everything is going great with the house. I can't thank you enough for helping me to find THE car I was looking for. 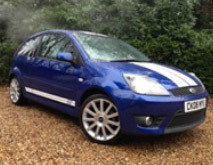 You took down details of the car I wanted in terms of specification and did your up most to get one for me. Despite not having one in your stock, you still went out of your way to provide an additional service by seeking one out for me. Your level of customer service was fantastic, always keeping me up to date with any progress made etc. 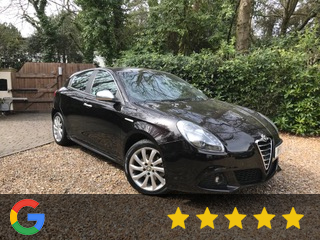 Even if I didn't feel entirely happy with a recommendation, there was absolutely no pressure for me to commit and you were happy to keep on looking until the right car was found at the right price. Upon coming to see the vehicle, you were very welcoming and answered every question I had. There were a couple of little cosmetic blemishes on the vehicle which did put me off despite the fact it was the vehicle I was after. 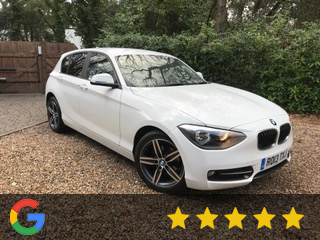 Rather than dismiss the car altogether, you went out of your way to get them sorted for me therefore giving me an immaculate vehicle to purchase followed by a smooth and quick transaction - I was very impressed & grateful! 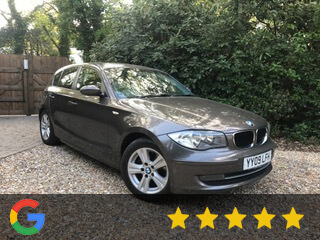 I felt safe in my decision to buy with you rather than from some dodgy dealer who neglects to tell you maybe some "minor" but "significant" details that all matter when buying a car. As a female, it was especially important to me not to feel like I was been fobbed off. This was not the case with you at all; you were honest, extremely helpful and cheaper in comparison to other dealers. 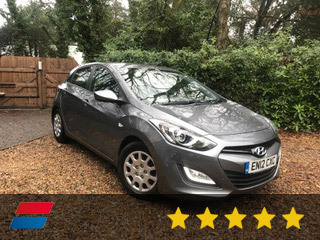 My friends & family were all very impressed with how you operate and the high level of service you provide - I would be more than happy to recommend you to anyone and I look forward to coming back to you when I wish to purchase my next car. Natasha, I am very sorry I have not been in touch sooner as I have been meaning to write this email since buying my Toyota Yaris from you in August. I just wanted to say a big thank you for all your help. 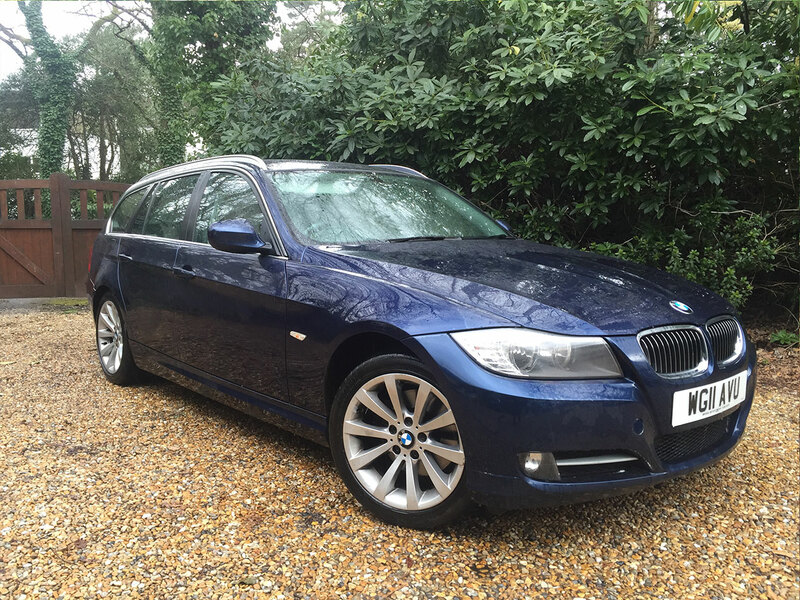 You really took the stress out of buying a second hand car and I was grateful for all your advice. It was great to have both friendly and professional service. I'm really happy with my new car and it is such a relief to have a reliable vehicle at last. I have already recommended you to a friend who is looking for a car and will definitely be in touch when I choose to replace my car. With best wishes for the future. 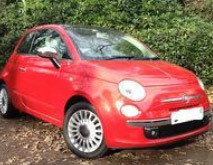 I was in desperate need of a car and after seeing an advert on Autotrader decided to give We Sell Small Cars a call. 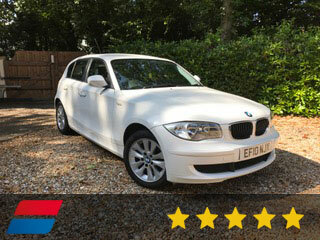 Natasha was fantastic, she understood I needed a car quickly and that it was a specific model and spec I was after. She spent all morning in contact with me, keeping me updated on cars which were available. I picked one over the phone and she travelled to pick it up that afternoon! Natasha stayed in contact all day, letting me know what the car was like etc. The car was looked over by mechanics and given a valet. I was able to pick it up the next day, the car was in perfect condition and was beautifully clean. It was the exact model I had wanted but had been unable to find, Natasha had found one, picked it up and made it ready for collection in a day! 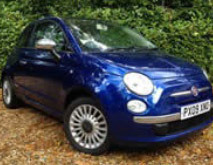 The service is absolutely amazing and now I'm very pleased with my new Fiat 500 J. Natasha really listened and understood what I was looking for and I would recommend her to everyone! She completely took away the stress of buying a car! This girl can work miracles!! Thanks so much again Natasha, I'm still working on the perfect name for my new car! I hope you can use this to tell people of your service, Natasha did exactly what I asked for; I gave her my budget and my requirements and whilst on the phone Natasha gave me at least 5 options. 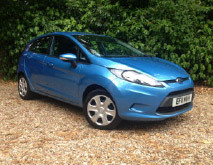 I choose a ford fiesta and within 4 days of choosing that particular model I picked up my car. The condition of the car was immaculate, it had been thoroughly cleaned. It took the pressure of myself to do the car hunting, test drives etc. Natasha took care of the HP checks and a new MOT was put on for me. I will definitely be recommending Natasha and her service in the future as really did take the hassle out of buying a new car. So lovely to meet you & do business with you. I hate having to get a new car as it takes ages for me to 'bond' with it. You really put me at ease; & we've got a great little car! I checked out similar cars on the Internet & nothing else came close to your good deal. Have already recommended you to my sister. Just a quick not to say thank you. The car that we purchased from you is great. It is everything we wanted and more! The car is exactly how it was described on the web page. No disappointment there. 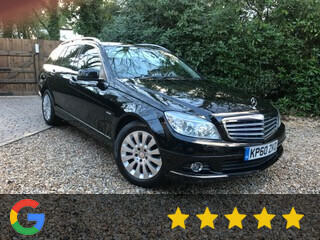 The service you offered was very quick and efficient, no unnecessary delays and most of all thank you for picking us up from the hotel, It was very nice of you especially after the long journey from the North West. We will recommend your company to everybody. Thanks again. Hey Hope you are well! Don't worry about the hair thing I'm sure you look great! I change my colour all the time, some look better than others but hey it was worth a try! Sooo I would say, DO NOT DEAL WITH THIS LADY SHE IS A CON ARTIST, lol I am only joking just wanted to put a smile on your face. Hope it worked? 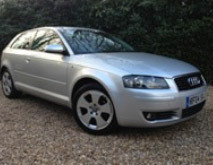 This company was a great pleasure to deal with, we had to come a very long way to see this car and Natasha was brilliant from meeting us right up to the sale transaction which all went very smoothly, and it is very rare to find someone who was very honest in car sales and made us feel very comfortable, we had all our questions answered and was very helpful, we didn't feel rushed or pushed into buying this car whatsoever, it was like dealing with a friend which was lovely. 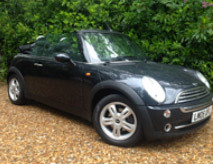 If we ever have to buy another car in the family we will definitely be contacting you first to see if you have our requirements as we felt so happy dealing with you and would do so again, so thank you to wesellsmallcars.co.uk & to Natasha we love our new car!